This would make a great gift idea for a kid on your holiday shopping list! You can grab the Mega Construx Despicable Me 3 Family Luau Party Building Set for only $11.99 today on Amazon! That is a savings of 52% because this fun building set is normally $24.99! Make sure that you grab this deal soon because the prices can change at anytime on Amazon! 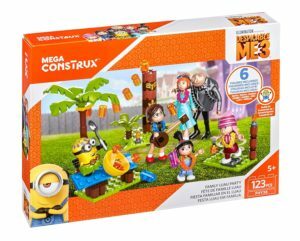 CLICK HERE TO ORDER the Mega Construx Despicable Me 3 Family Luau Party Building Set for only $11.99 today!